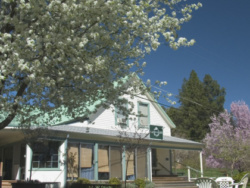 This document governs the privacy notice of all the websites owned and operated by Ananda Church of Self-Realization of Nevada County including this website. This privacy notice also governs all the mobile apps owned and operated by Ananda Church of Self-Realization of Nevada County. These mobile apps include but are not limited to the Living Wisely, Living Well, Ananda Meditation, and Energization Exercises apps. You have a right to “block” or restrict the processing of your personal data. When your personal data is restricted, we are permitted to store your data, but not to process it further. You have the right not to have a decision about the use of your personal data to be based solely on automated processing, which produces legal effects concerning you or similarly significant affects you. “Non-personal data” (NPD) is information that is in no way personally identifiable. “Personal data” (PD) means any information relating to an identified or identifiable natural person (“data subject”); an identifiable natural person is one who can be identified, directly or indirectly, by reference to an identifier such as a name, an identification number, location data, an online identifier or to one or more factors specific to the physical, physiological, genetic, mental, economic, cultural or social identity of that natural person. PD is in many ways the same as Personally Identifiable Information (PII). However, PD is broader in scope and covers more data. Our legal basis for collecting and processing your PD when you buy our products, services, sign up for our live events, retreats, and pilgrimages, or make donations is based on and the necessity for the performance of a contract or to take steps to enter into a contract. Our legal basis for collecting and processing your PD when you sign up for our newsletter and information about our products and services through our website opt-in forms is based on consent. If you do not provide us with enough PD, we may not be able to provide you with all of our products and services. However, you can access and use some parts of our website without giving us your PD. We use www.mouseflow.com in order to better understand our users’ needs and to optimize this service and experience. Mouseflow is a technology service that helps us better understand our users experience like how much time they spend on which pages, which links they choose to click, what users do and don’t like, etc.) and this enables us to build and maintain our service with user feedback. When you register as a user or member, or buy our products or services, or make a donation, we collect some or all of the following information: your first and last name, email address, physical address, credit card or other payment information, phone number, and other information listed. Our website contains chat software that enable visitors to communicate with us live online or offline by email. In some cases, visitors can communicate with us without becoming a member or buying our products and services. When you use this chat software, we may collect some or all the following information: your email address, first name, last name, location, and any other information you willingly choose to provide to us. We strongly recommend that you limit the information you provide to us that is only necessary to answer your questions. These cookies allow websites to link the actions of a user during a browser session. They may be used for a variety of purposes, such as remembering what a user has put in their shopping cart as they browse a website. Session cookies also permit users to be recognized as they navigate a website so that any item or page changes they make are remembered from page to page. Session cookies expire after a browser session; thus, they are not stored long-term. When we communicate with you about our website, we will use the email address you provided when you registered as a member or user. We may also send you emails with information about our website or offers from us or our affiliates unless you have opted out of receiving such information. You can change your contact preferences at any time through your account or by sending us an email with your request to: privacy@ananda.org. It is Ananda’s policy not to disclose any personal or financial information to third parties for marketing purposes. However, there are three notable exceptions. 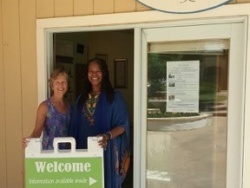 First, if we feel it helps us to serve you better and furthers our mission of sharing the spiritual teachings of Paramhansa Yogananda and his direct disciple, Swami Kriyananda, we may share your basic personal information with affiliated, independent Ananda organizations. These organizations participate in the overall ministry of our work, and include the Ananda churches, schools and communities in Palo Alto, Portland, Sacramento, Seattle, Los Angeles, Assisi Italy, and India, as well as the Janaka Foundation. The information we share with these affiliated organizations is limited to your name, address, phone number, e-mail address and basic membership information. No other information is shared. We feel that sharing this basic information helps us serve you better, is consistent with our privacy notice, and furthers our mission of sharing the spiritual teachings of Paramhansa Yogananda and his direct disciple, Swami Kriyananda. We may provide your PD to third-party service providers we hire to provide services to us. These third-party service providers may include but are not limited to: payment processors, web analytics companies, advertising networks, call centers, data management services, help desk providers, accountants, law firms, auditors, shopping cart and email service providers, and shipping companies. If some aspect of our non-profit organization is sold or merges in whole or in part with another organization that would become responsible for providing the website to you, we retain the right to transfer your PD to the new entity. If Ananda chooses to transfer your PD to the new entity, that entity would retain the right to use your PD, according to the terms of this privacy notice, as well as to any changes to this privacy notice as instituted by the new business. We also retain the right to transfer your PD if our organization closes and some or all of our assets are sold to another individual or business.